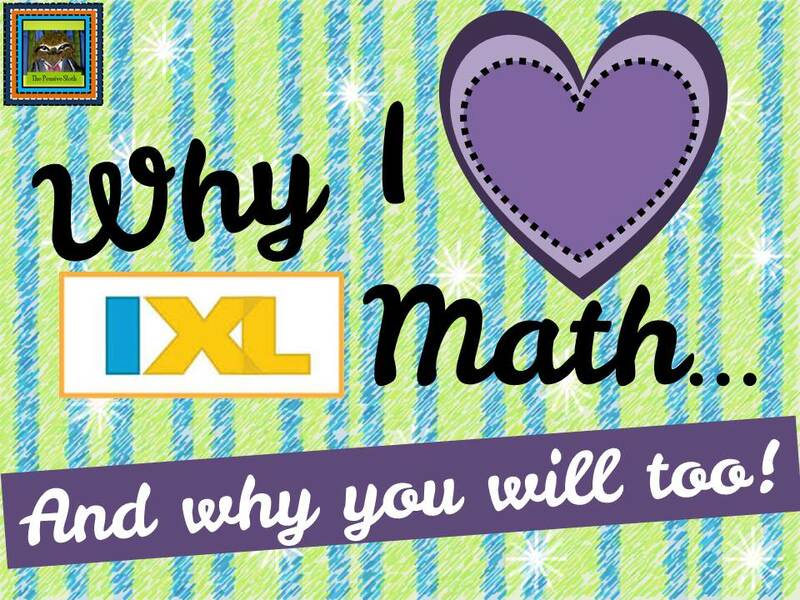 Why I Love IXL Math…and an IPAD Mini Giveaway! Hey fellow techie teachers! I’m linking up with my friends at The Lesson Deli to showcase some ideas for using iPads in the classroom. 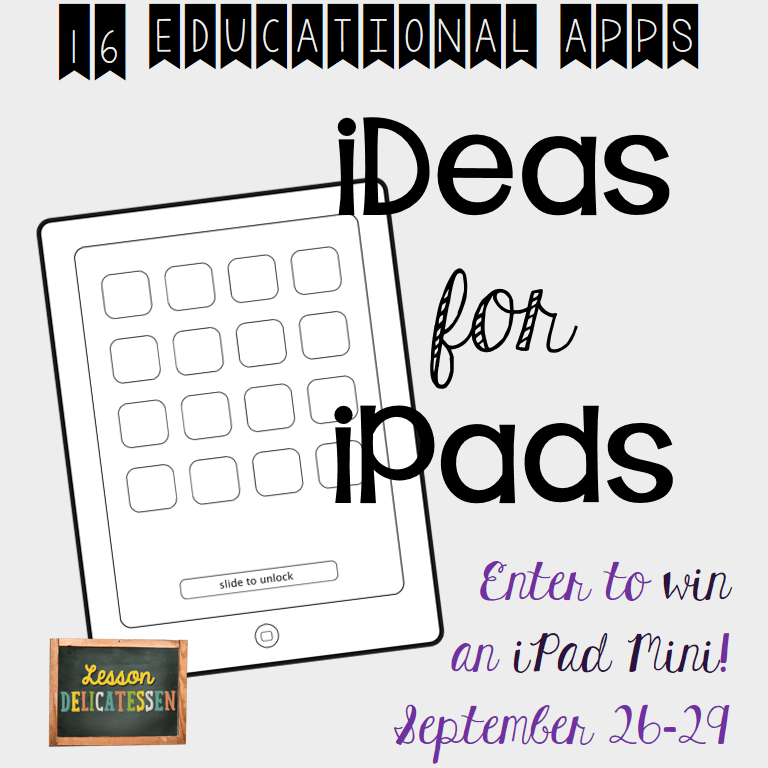 Hop through the posts to learn about some useful classroom iPad apps, then don’t forget to visit the Rafflecopter for a chance to win an iPad Mini. IXL? What’s that? Read on to find out! First, what is IXL? IXL is a super organized website for students to practice math skills, from the very simple ‘naked’ problems that just deal with the arithmetic to the multi-step word problems that have students apply what they have learned. IXL is like a bunch of really well developed digital worksheets. Here’s why I love it, my students love it, and why you will love it too! 1. INSTANT FEEDBACK FOR STUDENTS–Research tells us time and again that feedback is most helpful when it is immediate (especially for our digital natives). Students work on a skill, and if they get it right they know! There is no waiting for you to check their work. If they miss it, they find out immediately and IXL explains why so that the student can learn from his/her mistake without practicing the wrong way multiple times. 2. INSTANT FEEDBACK FOR TEACHERS–Let’s say my class needed to practice equivalent fractions. I could assign a lesson to my students and monitor their progress from my teacher computer. The beauty of IXL is that it instantly updates you on how many questions a student has answered correctly. If I notice that little Johnny has answered 20 questions and missed 15, it is time to intervene! Or, that little Sarah has answered only 6 questions and the rest of the class is almost finished, I might need to help her find a more efficient strategy. 3. IXL IS FORGIVING–We all make mistakes when learning something new. IXL recognizes this and rewards students for learning, not just a percent of questions they get right. For example, students who miss several questions early on still have the ability to recover to earn a high Smart Score because they are learning. They will have to answer more practice questions to ensure they’ve got it, but they can still score high and be rewarded for their efforts. Students who already understand a skill won’t have to answer bazillions of questions. IXL picks up on this, and their score will be equally as high for showing mastery! There’s no reason to make a student who knows something practice it again and again forever. IXL catches on quickly so students can show mastery early and move on to something more challenging. 4. DIFFERENTIATION–Is a great buzzword, but IXL can make it happen easily in YOUR classroom. If you have students who are below level, you can assign them practice on skills to meet their needs. If you have students who are advanced, move them ahead. IXL covers K-12 standards, so the sky is the limit! 5. ORGANIZATION–I have never seen a math program as teacher-friendly as IXL. You can search by skill, monitor progress by skill, go up and down a grade level based on your state’s standards, whatever works for you and your students. I typically would write a lesson on the board I wanted my students to complete based on what we were studying and I even took grades on their work. 6. SMALL GROUP/MATH STATIONS–Add an IXL math station to your rotation so that you can meet with small groups and still know that your students are engaged in purposeful work as mathematicians. 7. FLEXIBILITY–IXL worked on my classroom desktops, laptops, and iPads. Plus, students could work from home if parents requested extra practice! Once you set up student accounts and passwords, they can use IXL on any device with an internet connection. 8. BOOST THOSE TEST SCORES–Overall, IXL makes it easy to fill gaps in learning, help students track their progress and see how their efforts produce achievement, and help you target skills students need to be successful on state assessments (whether you follow your state’s standards or Common Core), IXL can help your students succeed on state tests with confidence. Now, you may be wondering if IXL is free??? The answer to that is NO and YES. As a teacher, you can sign up for 30 day free trials. Yep. I had to sign up for a few free trials. In fact, my whole grade level used it, loved it, and had so much success, that our school purchased it for the campus this year. If after giving it a try you decide you MUST have it, talk to your principal, PTA, hold a quick fundraiser, or consider writing a grant through Donor’s Choose. It is worth every penny! Oh, and you should know that I am NOT being paid to talk about IXL. When a friend of mine mentioned it to me last year, I gave it a try and now every time I meet a math teacher, I share my experience with it. Click this image to go to the Linky screen for more great ideas on using iPads and apps in your classroom. Brought to you by the teachers at The Lesson Deli. Want to win an iPad Mini? Of course you do! Please note that this giveaway is only open to teachers (classroom and homeschool) who are living in the United States or Canada. The winning entry will be verified and proof of eligibility may be required. Please see the complete terms and conditions at the bottom of the giveaway for more information.